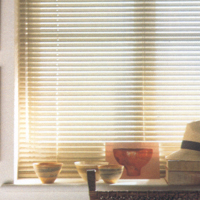 Venetian Blinds. UK Online orders from Bay Blinds Limited. Alabaster, Silver, Sapphire, Sparkly Gold and Peridot. These fashion colours have proven to be very fast moving items and offer the highest quality with true value for money. Easy to fit top/face fix brackets mean a quick fix solution and with the facility to cut up to 75mm from each end side of the blind and a drop of 160cm allows these blinds to fit almost every application.